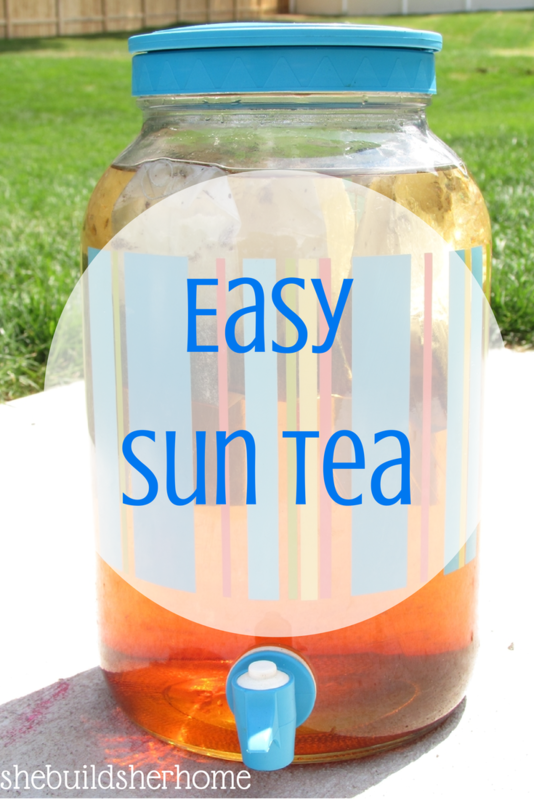 I know, the word easy just automatically goes with sun tea. 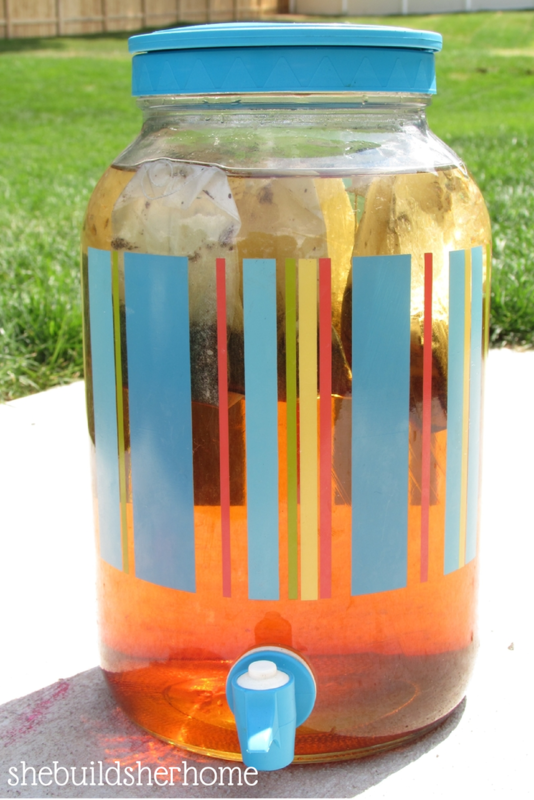 Is there such a thing as a difficult sun tea recipe?! 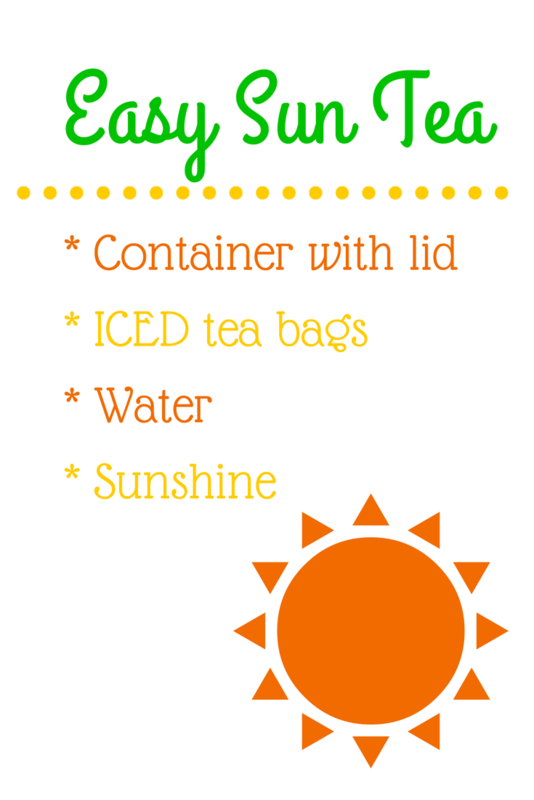 I personally like to use decaf iced tea bags, and I don't usually add anything to mine. If you like sweet tea, then you'd add honey or sugar, but it is so good as is! Oh, and don't skip the lid...buggies like this stuff, too! yum! But I've never seen ICED tea bags. Maybe we don't have them up here. Can you just use normal tea bags? 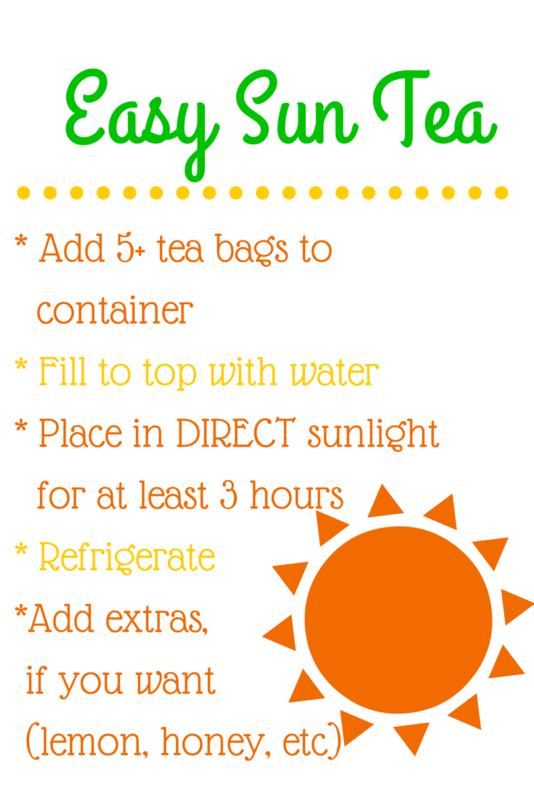 I clicked on this as was intrigued at what sun tea is. I am an English girl through and through so my tea (and I must drink 6 or 7 mugs a day) always involves a kettle and milk! I love the idea of following traditions but I'm afraid, lovely though it looks, I am going to stick with my regular PG Tips. In fact I think I will pop the kettle on right now! Have a lovely day and thank you for showing me something new.